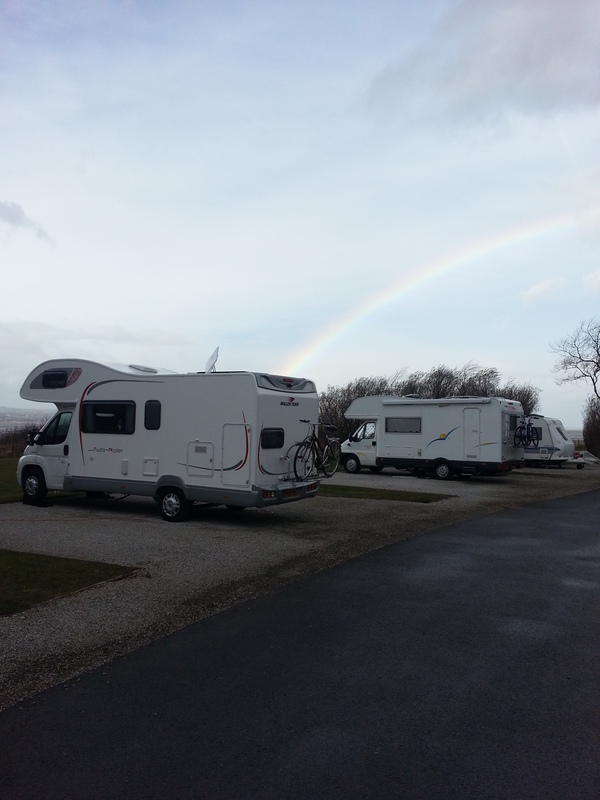 Summer is fast approaching although you wouldn’t think so judging by the weather. 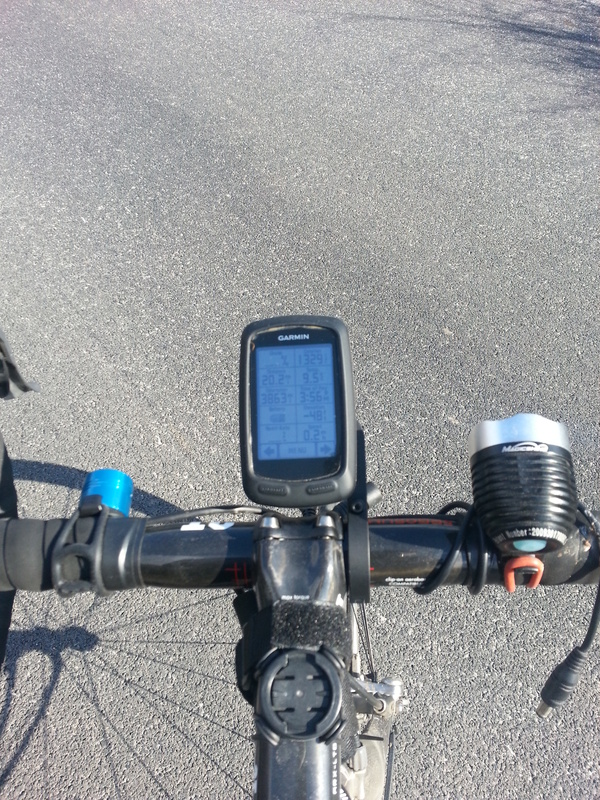 On the cycling front I’ve upgraded the 800 Garmin Edge mount. The forward mounting position proving to be better than having to glance down continually. Not cheap for what it is, essentially injection moulded plastic. The above is part of the modifications to the van. 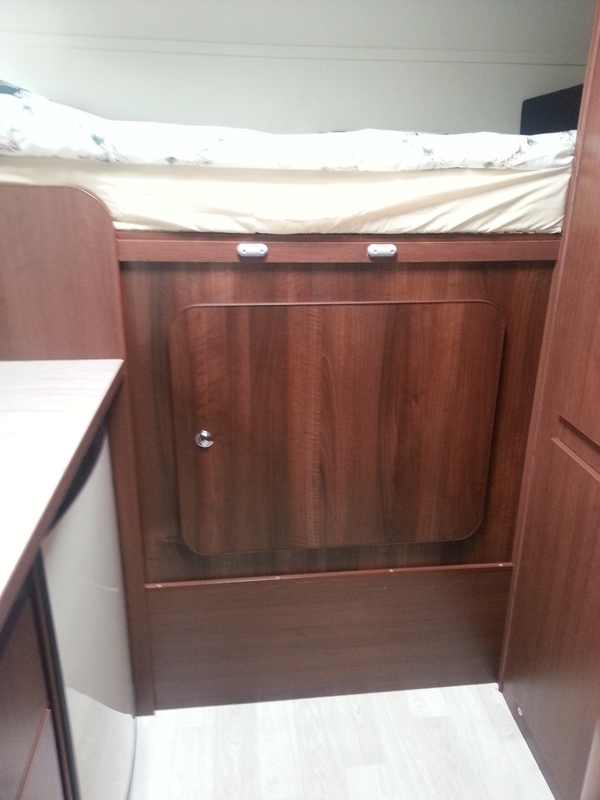 The lower bunk has been removed and stored . 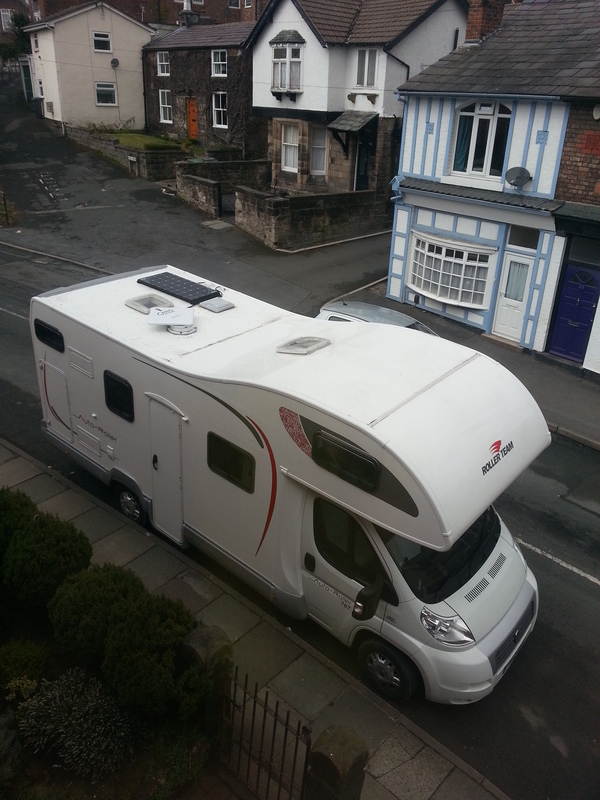 It creates a large rear garage that will take a bike and the rest of the essential bits that you require to keep a van on the road. You can just see the “garage” in the corner of the picture. The new dish has been fitted and cost a proverbial arm and a leg. I wasn’t a happy bunny when I saw the state of the roof, spent nearly 2 hours cleaning it working off a ladder. Another thing I spotted was the solar panel still has the stickers on. 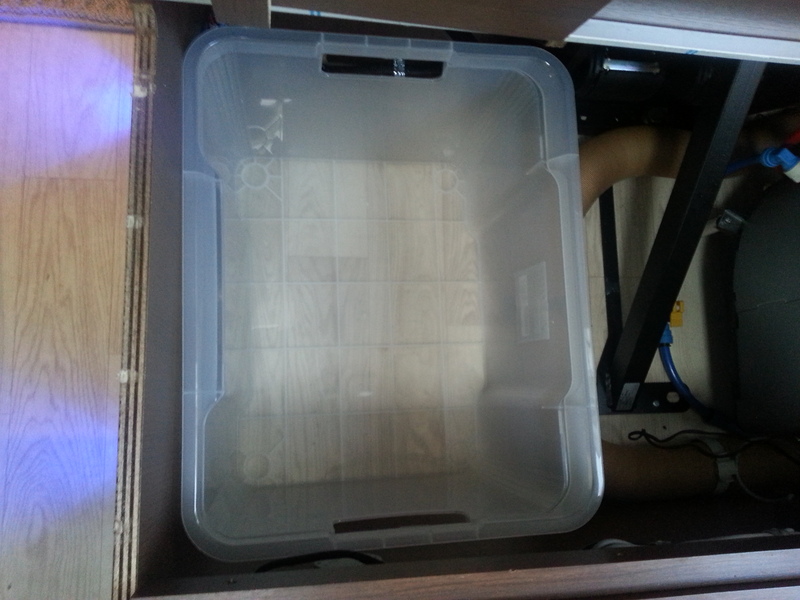 Under seat storage is tidied up with a plastic box from Asda, £5 for two. On the right is the water heater and the bracing for the seat belt anchorage. 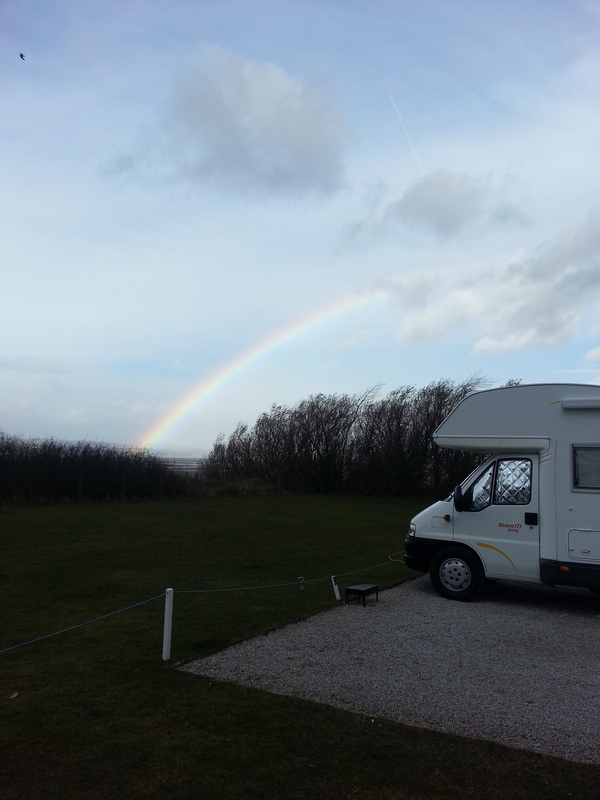 Finally getting to use the van like it was intended with a late availability at Thurstaton Caravan Club site. 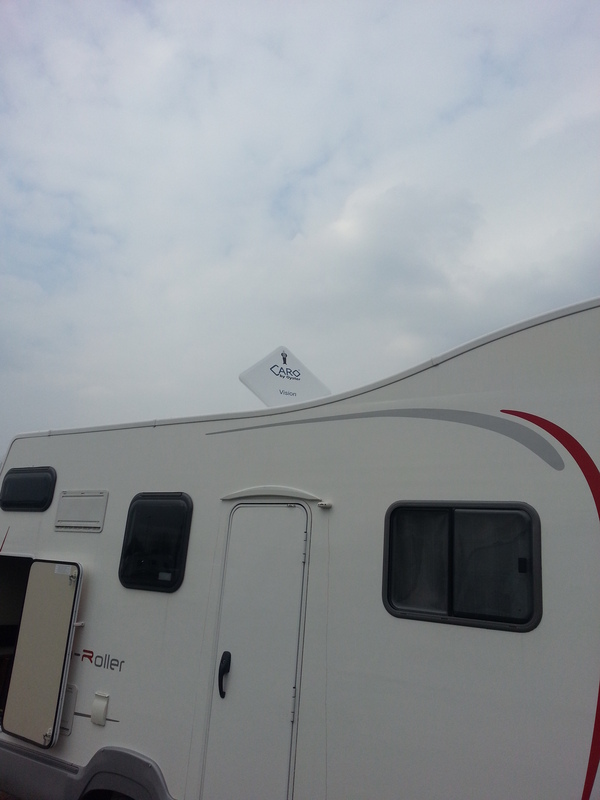 It got a bit breezy after this with the caravan next to us taking a bit of a battering due to its large awning. Returned the van to storage and gave it a good clean. Used a trial pack of Dry Wash on it and was amazed how good it was. Really good on acrylic windows. Cycling wise I’ve been doing the Wirral Coastal Route which is 50 miles if you take the road at the back of Vauxhalls , down Oil Sites Road and then cut through to Cheshire Oaks. The Dee Crossing is now open and takes you from the bottom of Denhall Lane and brings you out at Zone 3 by Shotton Paper. I will post a link from Garmin Connect in due course. Thanks to Dave for showing us it at the Eureka the other Friday. What mount are you using for the Garmin as I’ve been looking at the SRAM one. Next Next post: New Dee Crossing.